Over the past two weeks your votes have flooded in, and we can now announce the winners of the Simple-Talk Awards 2015/16. 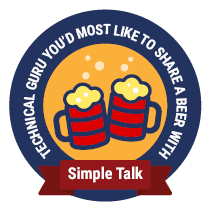 Each year, the Simple-Talk Awards seek to recognize the people, tools, and technology that have made the biggest difference to the SQL Community, in the past year. The people nominated were those who we, at Simple-Talk and the Friends of Redgate, feel have made an outstanding community contribution, through the articles, books, and blogs they write, the conference presentations they deliver, through their daily presence on various forums and Q&A, and the tools and scripts they develop and share freely with others. In case you need a reminder of the nominations, we announced them here. In January 2008, Chris Alcock was inspired to pick up the mantle of Mike Gunderloy’s daily .NET roundup, The Daily Grind, by starting the ‘Morning Brew’, a set of links to the most interesting items that appeared on his RSS feed. In Morning Coffee no. 1, there were just three links. Two thousand and sixty-six editions later, Chis continues to amaze both us with his energy and the tenacity with which he unearths interesting new articles and blogs on.NET topics. His blog continues to set the standard for other such sites, and is essential reading for busy .NET programmers. In the late 1990s, Mark and Bryce Cogswell cofounded Winternals Software. Their web site, sysinternals.com, quickly became the place to go to find interesting, slightly subversive, Windows administration and diagnostic utilities. We used to imagine the teams of programmers sitting there hunched over screens in darkened rooms, developing these incredible tools. No, it was just Mark, who had an uncanny knowledge of the inner workings of Windows and an unquenchable curiosity. When he joined Microsoft, this deep understanding of Windows, and intellectual honesty, resulted not only in many successful books and articles, but also in a meteoric career that now sees him as the CTO of Microsoft Azure, and one of Microsoft’s most important software engineers. We developers still think of Mark as one of us. It is rare to have such an obvious candidate for Database Book of the Year, but this book has been so popular with database professionals that it was inevitably going to get the votes. Not intended for beginners (who would be better off with Itzik’s Microsoft SQL Server 2012 T-SQL Fundamentals), this book deals with more advanced SQL techniques for readers who are already confident with the SQL language. Being the development of three previous books (T-SQL Querying (2009), T-SQL Programming (2009), and T-SQL Using Window Functions (2012)), this installment is up to date with SQL 2014, including Window Functions, columnstore technology, in-memory OLTP, changes to the cardinality estimator, and sequences. Graham Smith is a senior IT manager working for the UK Hydrographic Office. His series of articles on ALM and Continuous Delivery, on PleaseReleaseMe.net , all come from direct experience and tackle a difficult topic head-on with great success. With a refreshingly direct and unfussy writing style, Graham manages to make some daunting tasks seem relatively straightforward and his articles have certainly helped many people to get started with TFS and Continuous Delivery. Long may Graham continue his narrative. Ben Nevarez’s book has been described as the best book on performance since Ken England’s “Microsoft SQL Server 2000 Performance Optimization and Tuning Handbook”, which was published in 2001. This is high praise indeed, and it is true, it has the clarity of Ken England’s classic but takes the story forward to SQL Server 2014 with all the innovations including the new cardinality estimator, Hekaton, clustered columnstore indexes and incremental statistics. It dives much deeper as well, tackling the query optimization process, statistics and plan caching, as well as parameter sniffing. The book explains how the best query plan is selected from the available evidence and how to investigate this selection process. Yes, it is hip, despite having been the ‘whipping boy’ of the database world for some years, more and more developers rush to use it. It is the personification of the NoSQL industry, being ‘good in parts’, but it is unfair to say it is typical of the breed. Many good ideas have come out of the NoSQL marketplace and some are being fed back into RDBMSs, particularly PostgreSQL. For many applications, especially in social media and ‘big-data’ analysis, MongoDB provides a good solution. Everyone likes NewtonSoft’s open-source JSON.NET: It is the number one download on NuGet. Not only is it rock solid and fast, but it is also well-maintained and innovative. It allows you to query JSON strings and convert between XML and JSON. It does the job well. It even has an experimental JSON schema standard. Full marks for innovation. It is a great example of the difference it makes to have an open-source library so actively supported. Adam gives some remarkable presentations, often showcasing advanced techniques he’s developed while fighting tooth-and-nail to eke maximum performance out of SQL Server, often when dealing with prodigious amounts of data and highly-complex calculations. Those of us who saw his famous SQLBits presentation felt we had glimpsed rare insights into how SQL Server really works. However, some of Adam’s ideas need time to settle in the mind. Fortunately, the presentation is available on video, so we can all take our time to understand the internal metrics that influence the shape and flow of query plans, and how we as developers can exert influence over the Query Optimizer. The Microsoft Surface Pro continues, with v4, its lonely mission to show us what a Windows Device can achieve, with a little imagination and design-sense. With Intel’s 6th-generation (Skylake) low-voltage dual-core processors, Pen stylus, and a screen approaching the size of the iPad pro, it is by far the best of the Windows mobile devices. That concludes this year’s Simple-Talk awards. We’d like to congratulate all the winners, and say a big thank you to everyone who took the time to vote. 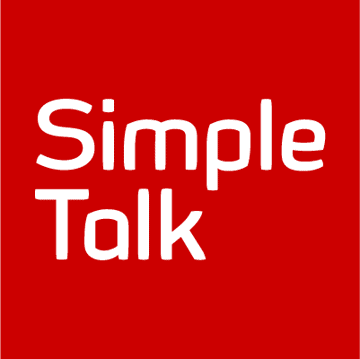 We produce and administer the Simple Talk website, edit the articles, and generally keep things ticking over.